What is the importance of Sections 302 and 404? 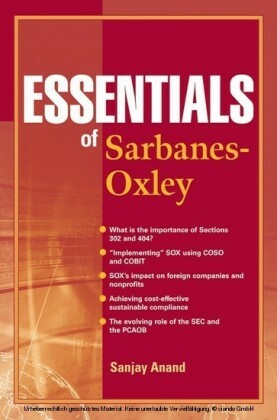 'Implementing' SOX using COSO and COBIT SOX's impact on foreign companies andnonprofits Achieving cost-effective sustainable compliance The evolving role of the SEC and the PCAOB Praise for ESSENTIALS OF SARBANES-OXLEY 'Since its enactment in 2002, the Sarbanes-Oxley Act and its Section 404 internal control requirements have caused many a great deal of 'pain and suffering!' 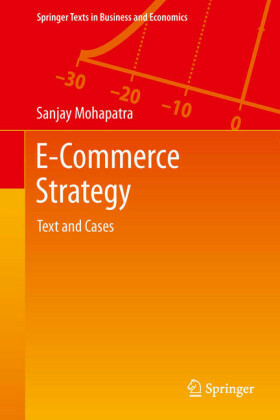 With its emphasis on what Sanjay Anand frequently reminds us is the 'real world,' this book should reduce some of that pain as it provides a practical and very realistic approach for an effective implementation of Sarbanes-Oxley internal control processes. 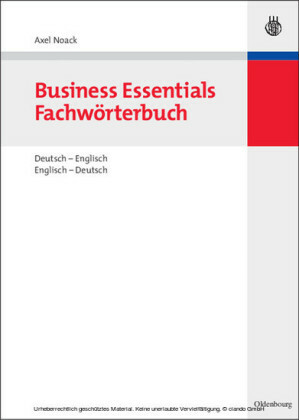 The book has references to the new changes in auditing standards and emphasizes achieving sustainable compliance-practical and realistic approaches.' 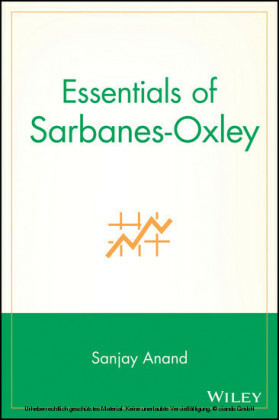 - Robert R. Moeller , President, Compliance & Control Systems, Inc. 'Sanjay Anand has provided what every busy executive needs, a concise overview of Sarbanes-Oxley Act essentials. 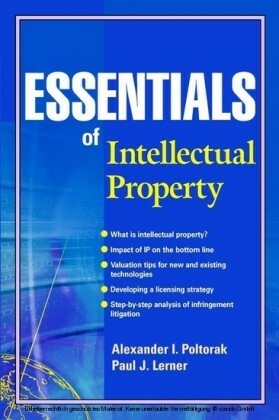 His book is a terrific reference text that I recommend to anyone who needs to quickly understand the substance of the Act.' 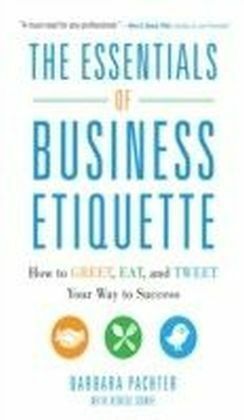 - Scott Green , Chief Administration Officer Weil, Gotshal & Manges LLP 'If you are looking to put together the various pieces-finance, accounting, audit, legal, IT, ethics-and understand the 'big picture' of the Sarbanes-Oxley Act, there is no other book like this. With 'Tips & Techniques' and 'In the Real World' examples, this book brings lively, practical, tangible, and compressible dimensions to a complex, multifaceted (and often dry) subject. This is essential reading for those new to the process and old hands going into their third and fourth years of SOX. It will also help those in other countries adopting SOX-like internal controls and regulations.' - Dr. Anthony Tarantino , Governance, Risk, and Compliance Center of Excellence, IBM, Financial Services Sector, Silicon Valley and New York City Written by Sanjay Anand, one of the world's leading corporate governance, risk management, and regulatory compliance experts, this simple to use book is designed with appreciation for demanding professional obligations, with information always easy to find and at your fingertips. 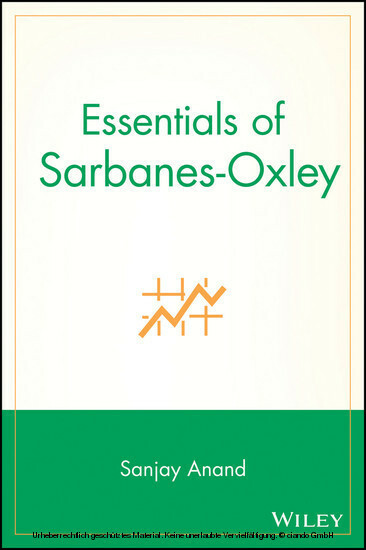 Essentials of Sarbanes-Oxley equips you with the knowledge you and all your company members need to initiate a SOX project, allocate a budget, and help your company achieve compliance. SANJAY ANAND , CFE, CSOX, CSOXP, is Chairperson of the SOX Institute, the only industry-recognized provider of authoritative Sarbanes-Oxley training and certification programs in the world. He is a globally recognized IT and business process management consultant, speaker, and instructor. Mr. Anand is the recipient of such awards as the J.D. Edwards Consultant of the Year and Global Enterprise Solutions Outstanding Performance. For more information, see www.soxinstitute.org and www.grcinstitute.com.